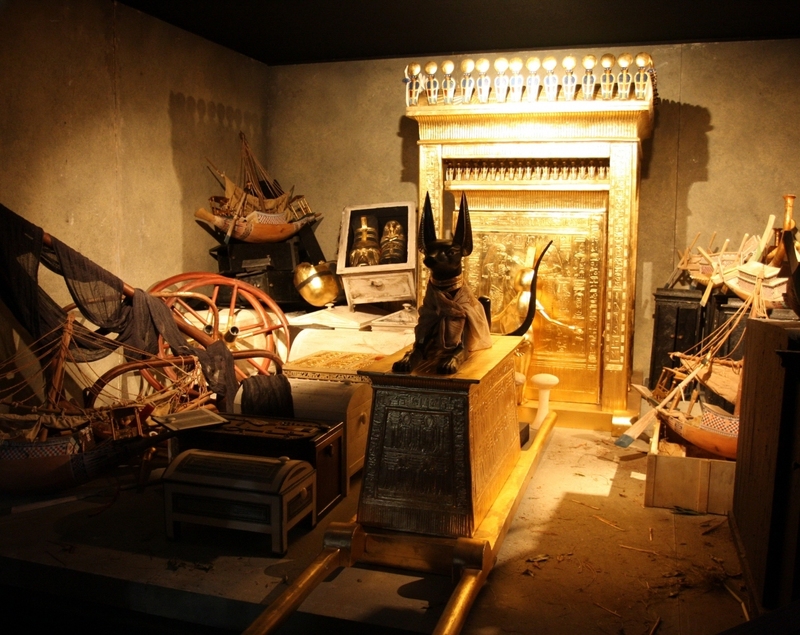 Above: Inside the Tomb of Tutanhkamun (replica). King Tutanhkamun’s treasures were replicas of the treasures of the Pharaoh before him, and each Pharaoh’s treasures were replicas of the treasures of their predecessor Pharaoh, back to the beginning of the dynasty. 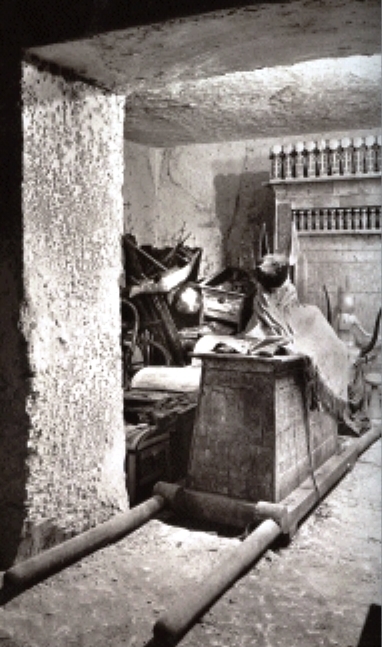 The original photograph of the Tomb of Tutanhkamun made by Harry Burton (1879-1940), who made the photographs at the opening of the Tomb of Tutanhkamun in the Egyptian Valley of Kings by Howard Carter and Lord Carnarvon in 1922. Burton was regarded to be the outstanding archaeological photographer of his era. Many of Burton’s photographs are in the archives of the Metropolitan Museum of Art. Notice the Ark placed here in the treasury. In 1922 in the Egyptian Valley of the Kings the Tomb of Tutankhamun (KV62) was opened by Howard Carter and Lord Carnarvon. Among the artifacts was a processional Ark, listed as Shrine 261, the Anubis Shrine. 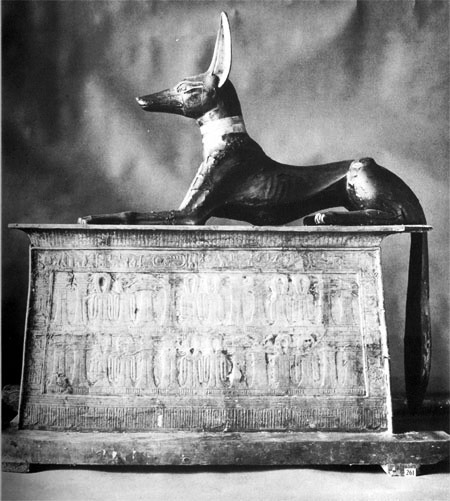 Almost immediately after publication of the photographs of this sensational archaeological find some claimed that the Anubis Shrine could be the Ark of the Covenant. A. They mistranslated their writings on purpose. According to certain reports, the Throne is above water. 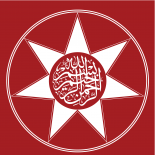 The supposed God Ra is actually the letter Ra from the code of Bismillah. Each Pharoah kept replica treasures of their predecessor Pharoah. These are replicas of the original Kaaba built by Adam, the Ark of Noah, and the original Ark of the Covenant. This entry was posted on January 20, 2013 by ASFC in Ahmed Amiruddin and tagged Ark of the Covenant, King Tut.